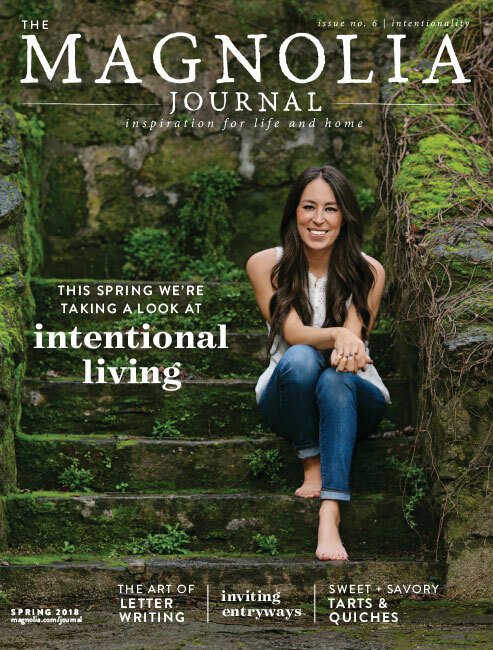 Renovators, entrepreneurs, and television personalities Chip and Joanna Gaines are now household names and continue to turn Waco, Texas upside down in their expansion and mission to spread renovation and farmhouse style love. Their Bed & Breakfast called The Magnolia House (est. 2015) was designed to be a unique retreat for out of town visitors. Each room is intentionally designed in Joanna’s classic style and is intended to be comfortable and inviting for guests. Chip and Joanna discovered the house in the historic town of McGregor, just 20 minutes outside of Waco. They fell in love with the property and knew it would be the perfect place for our visitors to call home while on their trip to Waco. This home sleeps up to 8 comfortably, and its renovation was featured on an episode of FIXER UPPER. “In 2003, we bought our “Little Shop on Bosque” and opened the first Magnolia Market. In that store, I developed and sharpened my design style and skills, grew as a business owner, and gained much needed confidence in Magnolia Market and myself. After Chip and I had our first two kiddos, we made the tough decision to close the Market and focus on growing and raising our family. During this time, we really honed in on Magnolia Homes, our construction business, for many years. This is where we were able to learn the construction side of things, and we loved the idea that we were “making Waco beautiful one home at a time.” This work was meaningful to us, and we worked together for many years as a team; Chip in construction, and myself in the design. Soon HGTV’s Fixer Upper came along. But something began tugging at my heart, and I began feeling a pull toward reopening Magnolia Market. So in May of 2014, we pulled the trigger, and the Little Shop on Bosque reopened for business. 2017 check-in is unavailable on Sundays. As beautiful as The Magnolia House is, I find it extra gratifying to see its humble beginnings and note the hard work and smart design that went into preserving much of what was there, improving the liveability of the spaces, and creating a wholesome place for friends and families to gather. 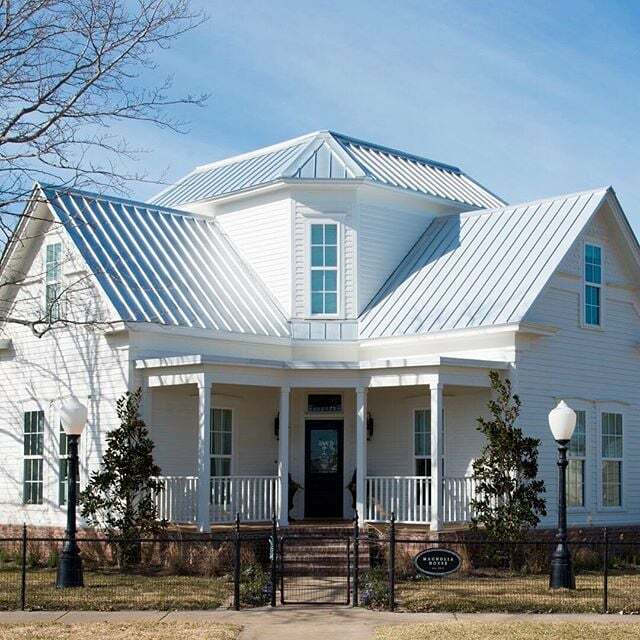 So let’s tour this McGregor, Texas home’s before and after as it bloomed into The Magnolia House. 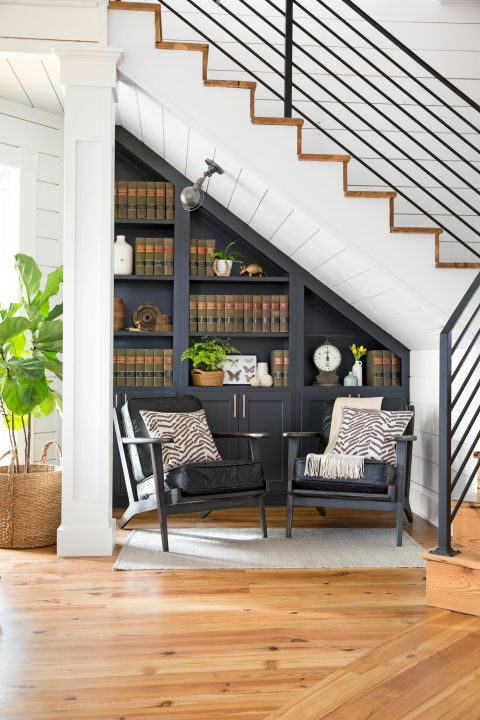 Don’t you love how this space under the stairs became a cozy place to relax? 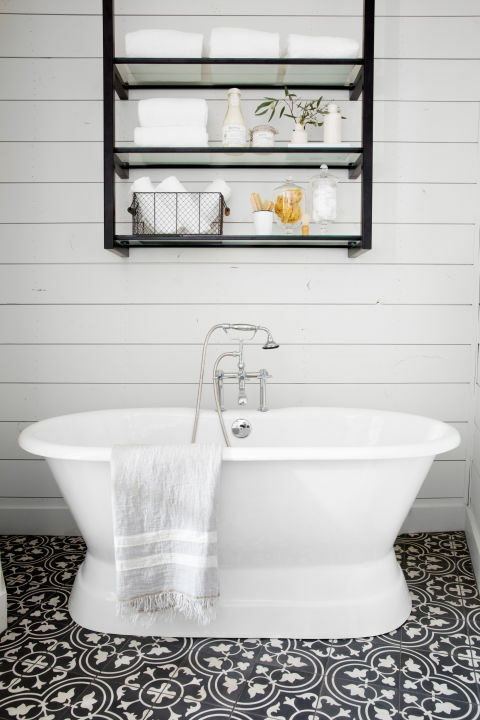 Are you loving the black paint on vintage glass doors? 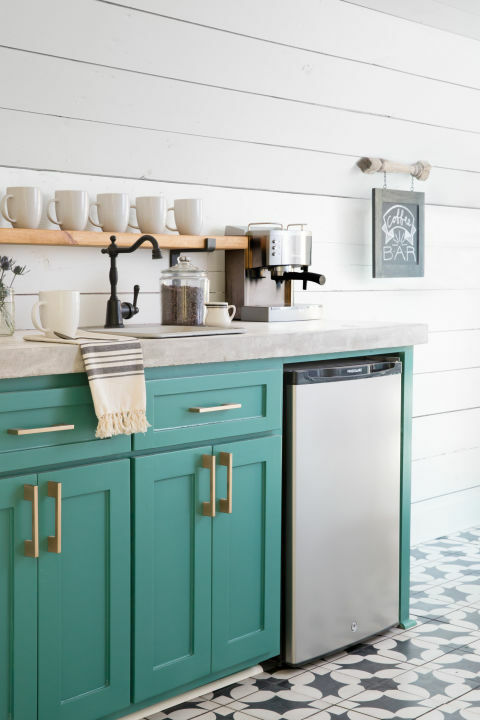 This is one of my favorite before/after spaces because you can see that they worked within the kitchen’s footprint and simply became very creative with using the space more efficiently. So much natural light streams into this kitchen, and look what happens when wall cabinets are replaced by airy open shelving! I love the addition of soft roman shades to the kitchen windows. I’m not crazy about the placement of this large architectural pediment over the window in the dining room, and the chairs don’t look comfy to me, but a fireplace in the dining room seems especially fortuitous at Christmastime. I want all the vintage doors in this bed and breakfast! Are you loving the striped stockings against the black fireplace!?! So many interesting angles in this bedroom that we don’t often see in modern day construction. The only prescription for a shiplap lovin designer? And how a space designated especially for sipping coffee? This sitting room makes sense in the bed and breakfast as it links a series of tiny bedrooms which once were used as soldiers’ sleeping rooms. Have you stayed at Magnolia House or do you plan to? Do tell! 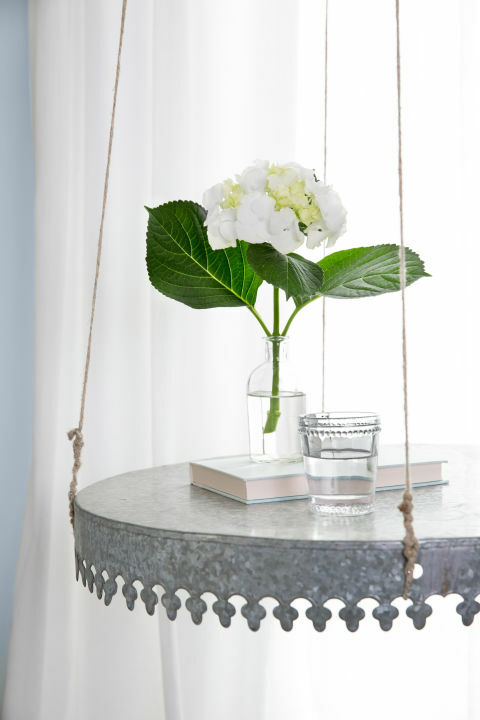 Stay tuned for a post where I source home decor and furnishings from Magnolia House! 18 Lovely Christmas Cards: Choose a Favorite! I haven’t gone. It’s too expensive for me. I’d like to know where the dining chairs in the coffee nook are from. They’re very cute. Thank you so much for the tour of this wonderful home. I love seeing your posts come into my inbox because you always have something amazing to share! Very pretty but am I the only person that isn’t crazy about shiplap? Especially shiplap everywhere! Very fun to see and I so appreciate you sharing it with us! Wow this is awesome! 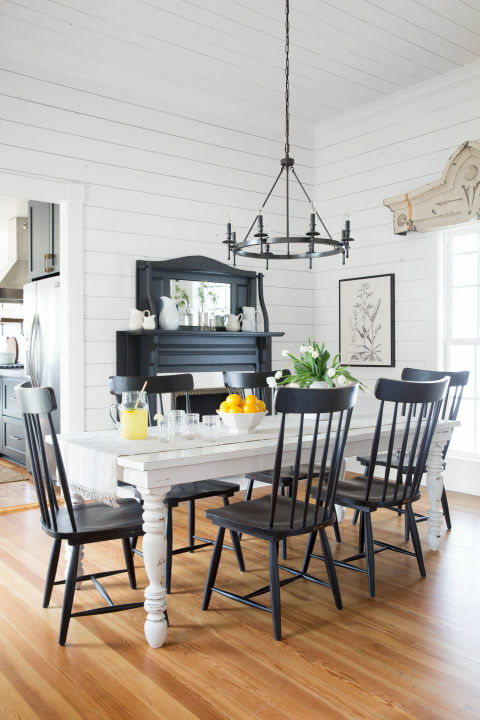 It’s so Joanna & Chip………shiplap everywhere! It’s a great transformation. I hope you’re feeling better soon? Love seeing this! Anyone else hear that C & J are expecting baby #5? Thanks for reading and the well wishes, friend.